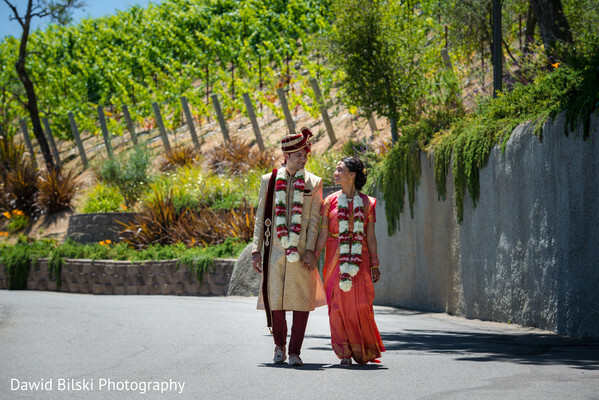 These Saratoga, CA vineyard wedding photos by Dawid Bilski Photography has our inner bride screaming with glee. 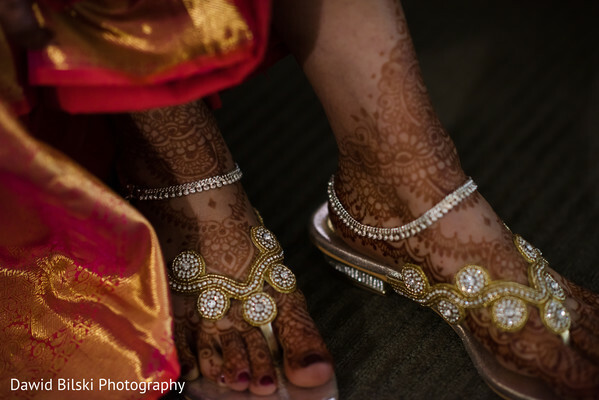 After all, we are in the wedding business and glossing over such stunning wedding saris, jewelry and mandaps puts us in the best mood! 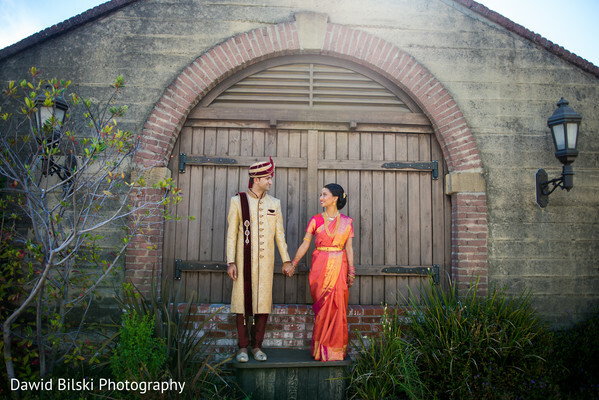 Anjana and Vishal’s love story is brimming with all sorts of amor and they had a magical outdoor wedding worthy of their beautiful relationship. 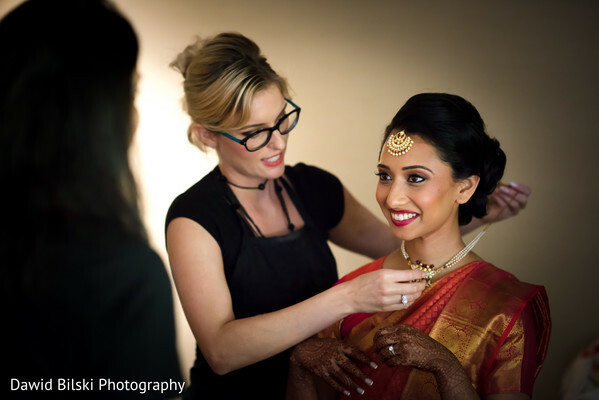 In order to capture every delightful wedding moment, Anjana and Vishal brought on elite photographer Dawid Bilski Photography to snap some ultra gorg pics. 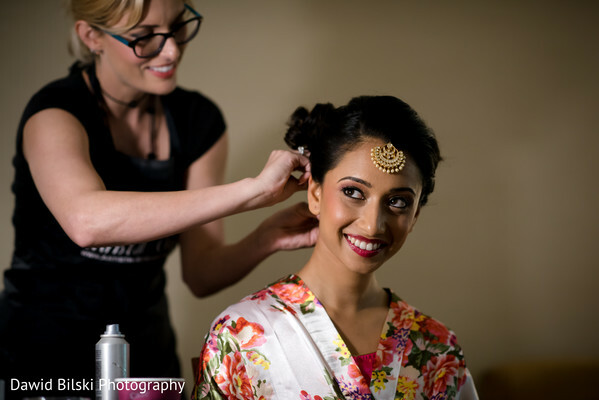 We’re obsessing over Anjana’s beauty look created by Artistry By Christal from the top of her Hollywood red carpet updo to the bottom of her silky coral sari. The chic bridal ensemble was beyond flattering on our bride, and fit the rustic glam aesthetic of the ceremony perfectly. 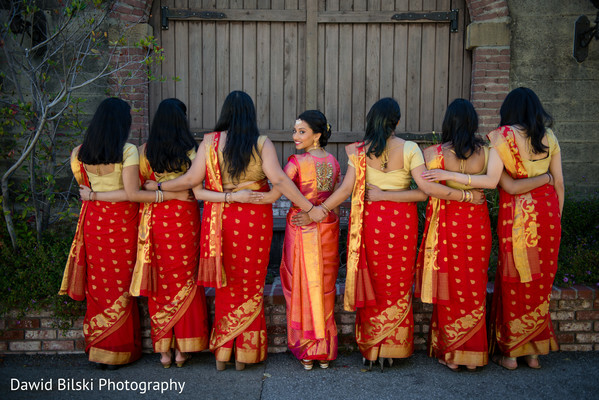 After the silken palla was put in place it was time to wow her hubby in first look photos on the grounds of the breathtaking Mountain Winery venue. 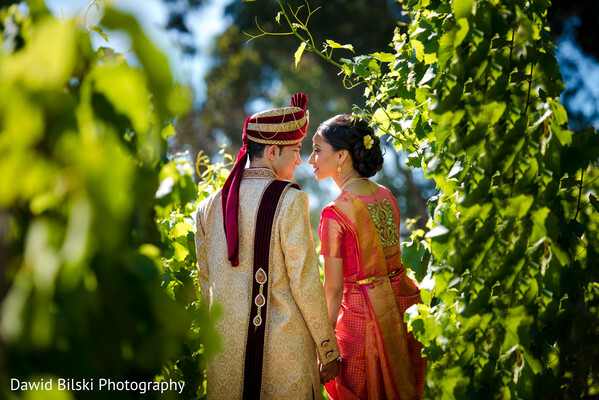 Grab a sneak peek of all the wedding action in our full gallery by Dawid Bilski Photography. Lovely ceremony details coming right up!